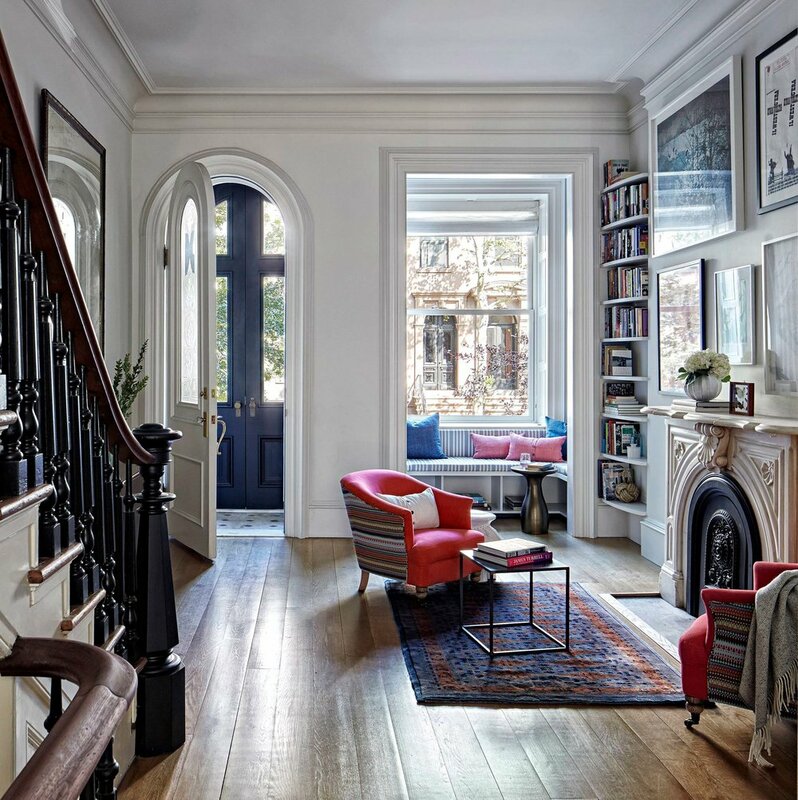 A young, modern family worked with the talented Lang Architecture to restore this gorgeous brownstone. Then, we came in to design the Parlor and put the finishing touches on the Kitchen. We transformed old leather club chairs by reupholstering them in a bright solid color on the fronts & a fun, boho pattern on the back. We designed a reading nook, complete with a bench, place to store books underneath, wallpaper & fun decorative pillows. 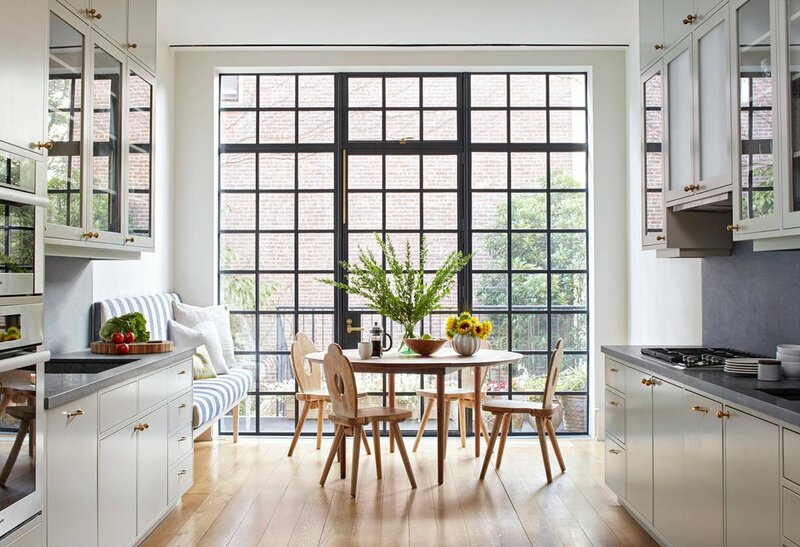 In the Kitchen, we designed a custom built-in eating bench, lighting & a new custom dining table. Sign up for our newsletter to get expert design tips, special offers & learn about fun happenings!